To optimise the support and confining structures in this area, SMARTEC SA was asked to install SOFO sensors to monitor the buttresses at the tunnel entrance and the concrete lining inside the tunnel. Switzerland is currently building a new railway line across the Alps. The Alptransit project is intended to make goods transport more economical and passenger transport faster (up to 250 km/h). The most impressive works of this new line will be the Gotthard base tunnel with its two tubes of 57 km each. The construction of these tunnels presents unparallel challenges due to their exceptional length and the difficult geological conditions found in some areas along the route. The Gotthard base tunnel must pass through a vast range of layers, from the very hard Gotthard granite, through the high-stress pennine gneiss of the Leventina, to the butter-soft rock of the Tavetsch Intermediate Massif.One of the difficult areas is the south portal in Bodio. 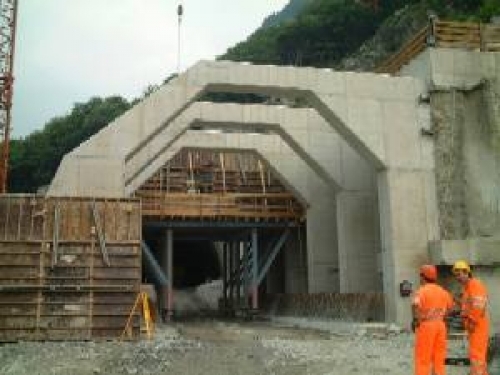 Due to constraints in the layout of the tunnel and the necessity to cope with the existing railway line, highway and roads, it is necessary to build the portal and the first 300m of tunnel in a loose stone formation. To optimise the support and confining structures in this area, SMARTEC SA was asked to install SOFO sensors to monitor the buttresses at the tunnel entrance and the concrete lining inside the tunnel. The sensors give quantitative information on the real loads that are carried by these structures in the short and long term. An automatic monitoring system records deformations and temperatures continuously and enables a correlation with the different construction phases. 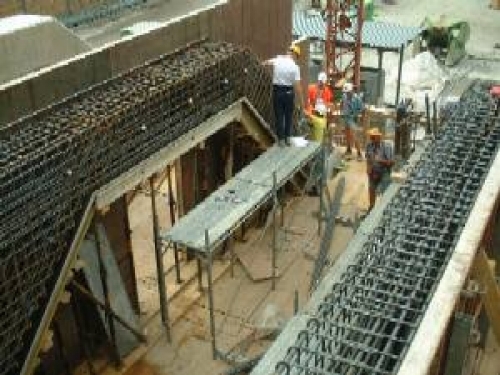 The results have been analysed and used to support decisions on the design of the reinforcement structures during the works.